Increase handling and eliminate body roll in any driving situation with the new Hotchkis Sway Bar Kit for Chevy Camaro! 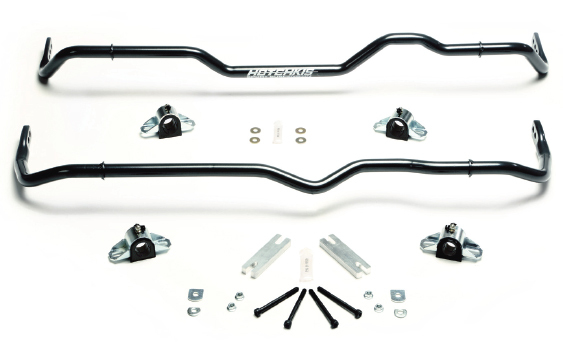 The Hotchkis anti-roll front and rear sway bars is the perfect addition to improve your Camaro's handling. It features Tubular Front/3-Way Rear adjustability which allows the driver to tailor the balance and to critically fine-tune his/her car's handling characteristics. This Sway Bar Kit includes polyurethane bushings and heavy duty bushing brackets along with zerk fittings for easy lubrication. Take your Camaro's handling to the next level today with this Hotchkis Sway Bar Kit from ModBargains!